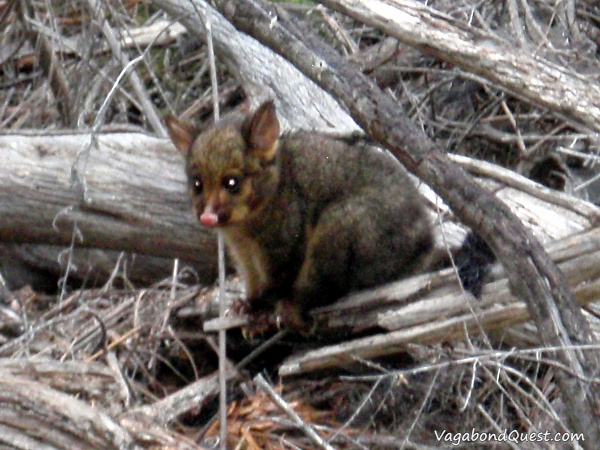 We were doing the Wineglass Bay/Hazards Beach circuit when we saw this baby possum from a distance. We stopped to observe this little stinker, but it didn’t like us being there. It walked toward us, hissed, and walked again. When it got quite close to us, it started to run, and took charge on me. The little cute thing was about to climb my leg, but it failed because I was flailing around.